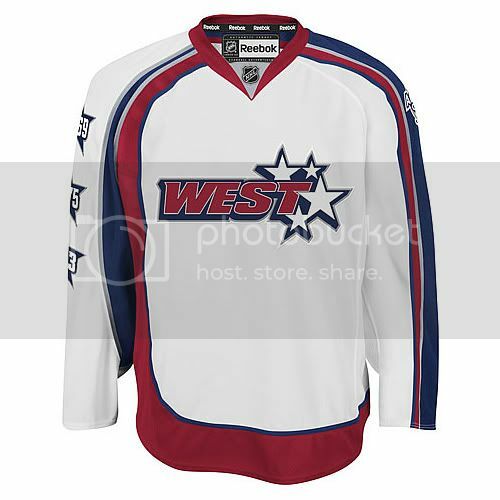 While spending a sleepless night watching hockey and surfing the intrawebs, I noticed something different about this year’s NHL All-Stars sweater. No, not that they are a little ridiculous, they have been for awhile, but notice on the left sleeve of the East and the right of the West. There appear to be numbers. At first I thought they would be the spot the players sleeve number would go. But then why are there 3 stars? In doing some research, I have found the answer: those numbers are the years the Canadiens have hosted the All Star game in the past. 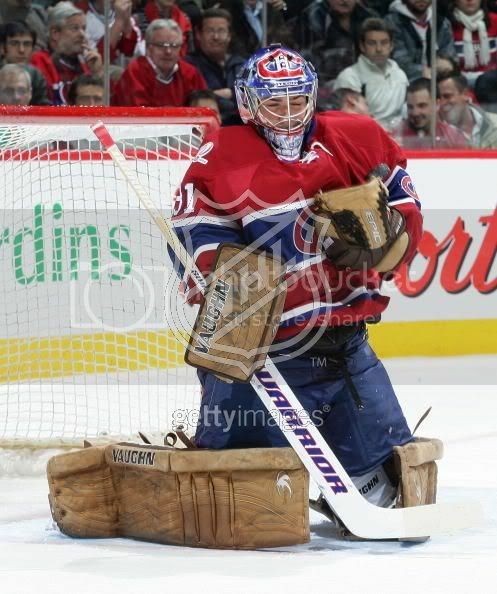 The Canadiens have hosted the all star game 12 times, including the one coming up in a few weeks. But there are not 11 stars to indicate the 11 other years. But they have hosted the game in its current format (East v. West, Wales v. Campbell, North America v. World, what have you) 3 times. Before this format, the winners of the previous year’s Stanley Cup Final would take on a team made up of the best players from around the league. They hosted the first All Star game as we think of it in 1969, which happens to be the number in the top star. 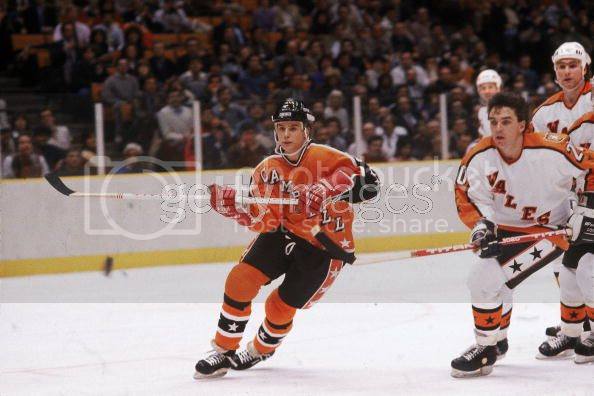 They also hosted in 1975 and 1993, which are the numbers in the 2nd and 3rd stars respectively. I am not sure how I feel about this added little touch, but I guess I should wait to see it in action first. While waiting for the Devils, who are playing the Kings in LA, to start their game, a 3:30 AM start in Western Europe for those keeping score, I do what I usually do, surf the ‘net for hockey related tidbits. 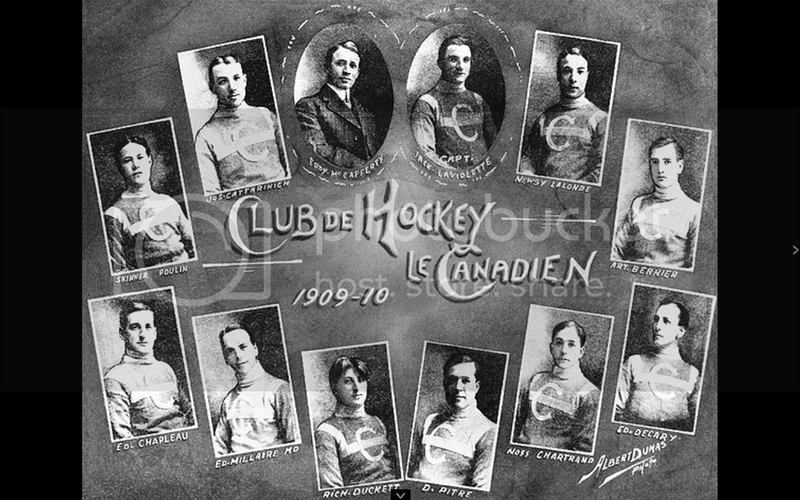 I came across a cool site about the History of the Canadiens, while looking for a picture of the Montreal Canadiens 1912-13 Centenial replica, which has become my favorite sweater this year. One page in particular caught my attention, the Jersey & Logo History. 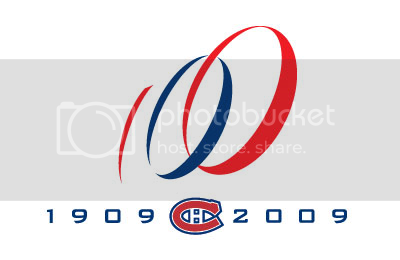 Even though they are illustrations, it gives you a good look at the Uni history of the Habs. Here are my highlights. 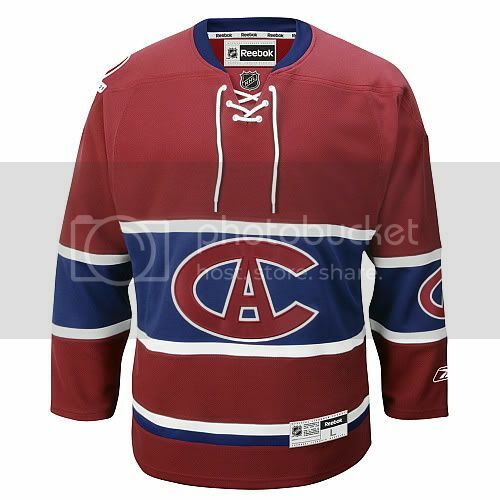 The teams first ever sweater used from 1909-1910 does not scream ‘Canadiens’ but is pretty cool. 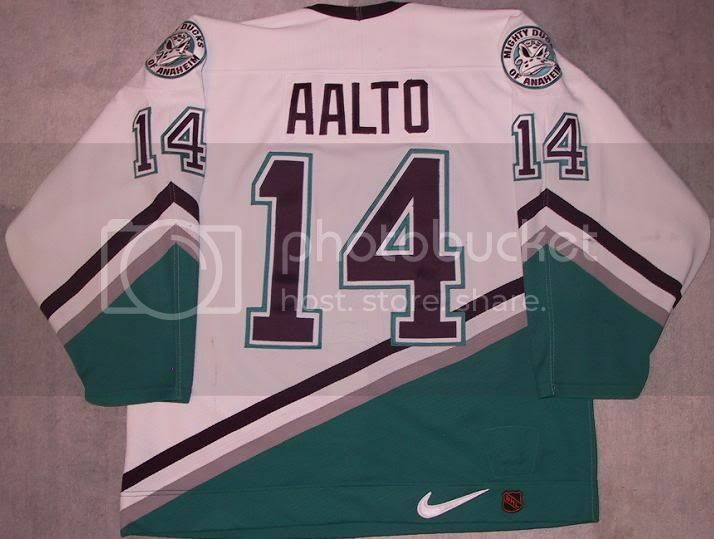 So cool in fact the team will wear a replica of the sweater next year to commemorate their first ever game played. Here is a cool portrait style shot of the team wearing the sweater. 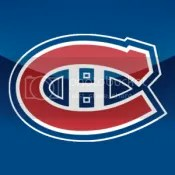 The 1910-1911 sweater is also not what one would think of when Canadiens comes to mind, but the logo is pretty nice. The sweater will also be worn as part of the Centennial celebration . 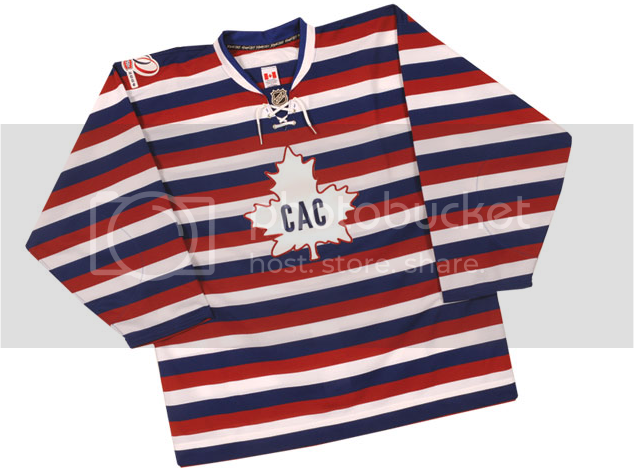 The 1911-1912 sweater sees the introduction of the Bleu, Blanc, and Rouge with a nifty vertical stripe down the middle to boot. Then my favorite sweater, the 1912-1913 ‘Barber Poll’ version. I dig the logo as well. 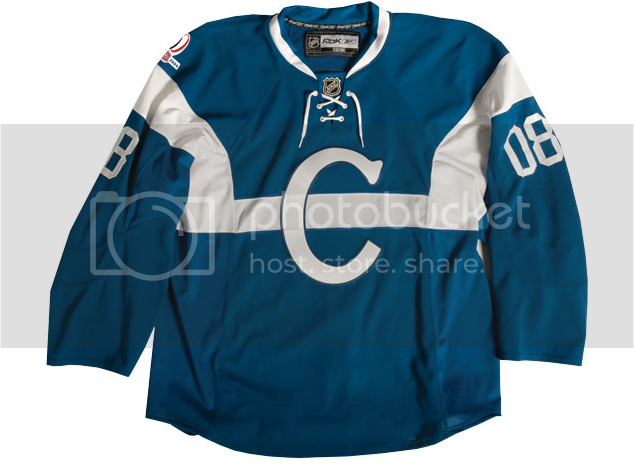 The other 1912-1913 sweater, which is a different version after the Ottawa Senators complained about that the ‘Barber Poll’ version, sees the introduction of the “C” on the sweater and the following season an ‘A‘ is introduced inside the ‘C’. 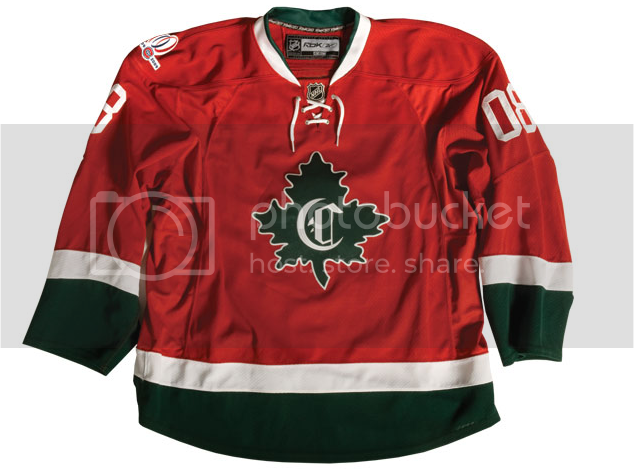 The 1915-1916 sweater was also part of the Centennial replica sweaters wore by the team this season. 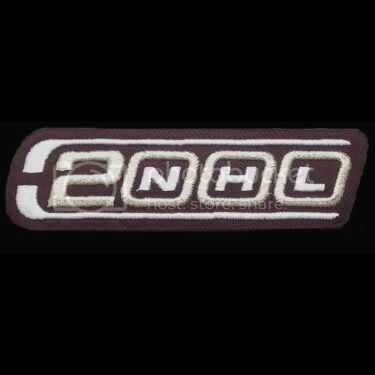 The ‘CH‘ logo was introduced the following season, and would stay on the sweater until present day. The only exception would be 1924-1925, when the ‘World Champion‘ logo was worn. 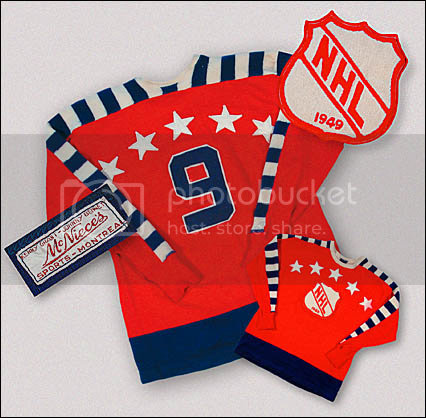 The sweaters remain pretty much unchanged from that point til present day (1917-1923, 1941-1945, 1946-1974, 1974-2007). Make sure to peruse the other parts of the site. 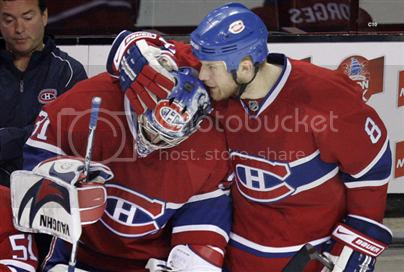 There are some sweet pictures. 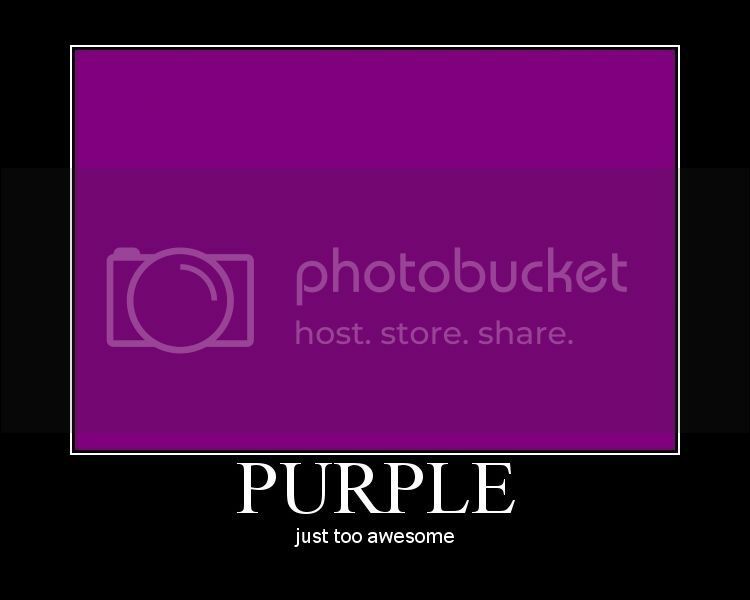 I may do more about the site, but it is helping me build a back catalogue of photos to make the blog that much better. A new segment if you will. 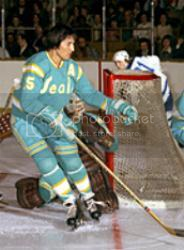 This weeks selection is the dark sweater of the California Golden Seals. 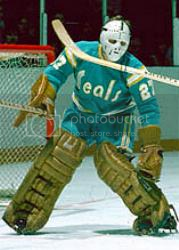 This was the last of three different style of sweaters won by the Seals/Golden Seals in their brief history from 1967 to 1976. 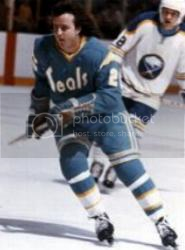 Since I am a believer that digital reproductions of sweaters, while helpful and fun, are not enough, here are some shots of the entire uniform on some Golden Seals players: Jim Neilson, Bob Murdoch, and Giles Meloche. 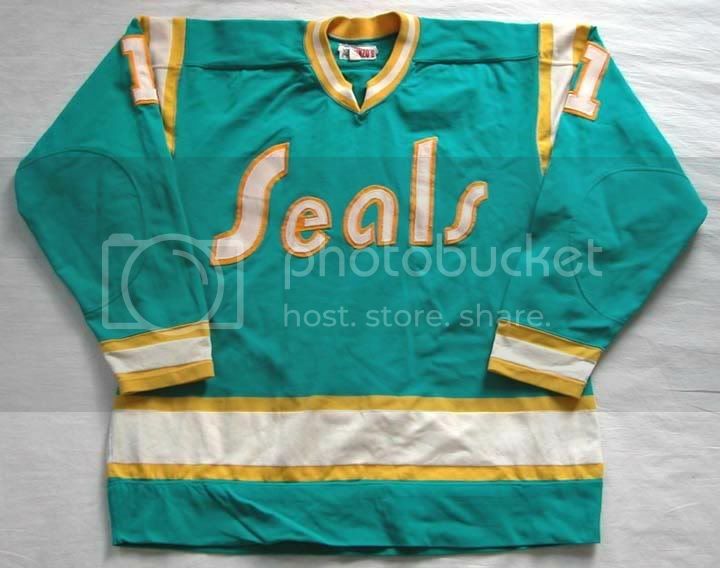 A little tid-bit about the Seals, they were essentially contracted and were meshed with the Minnesota North Stars. When the San Jose Sharks came into existence they had some deal where they took a few players from the North Stars, essentially undoing the contraction that took place in the late-70’s. While perusing the internet, I came across something interesting from JerseyDatabase.com. They now have all of the sweater fronts as well as the backs. Sweet! So here are digital representations of the sweaters I wrote about yesterday. 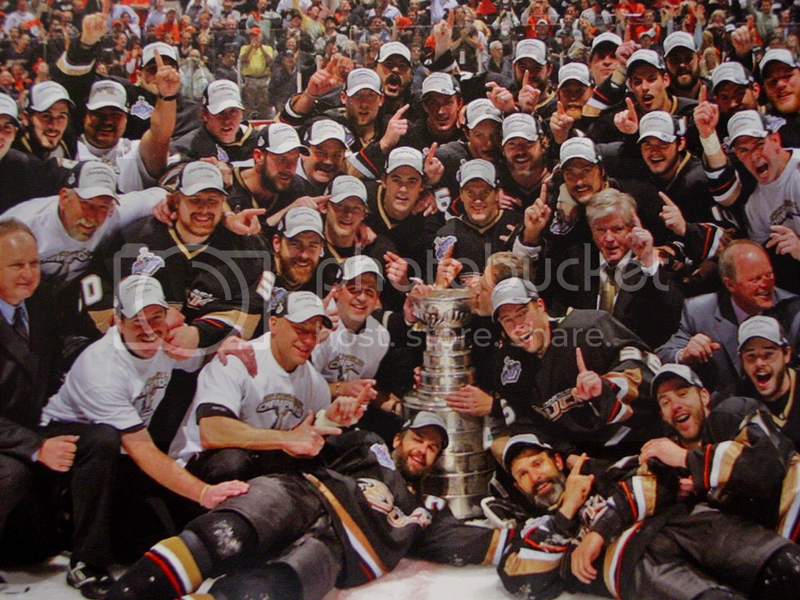 From now on each sweater history will include these images at the bottom for a recap. Thanks JerseyDatabase.com! A new segment here at Ice Hockey Sweaters. 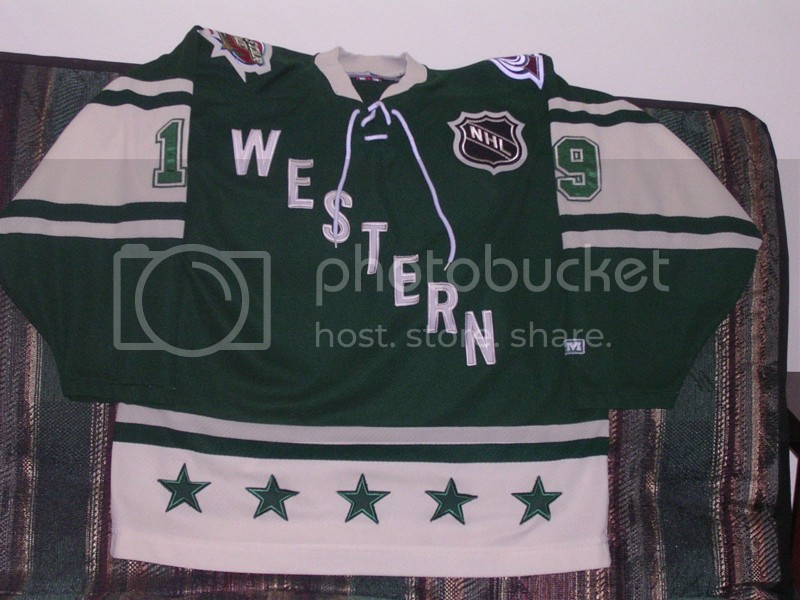 I will be looking at the history of the teams in the NHL through their sweaters. It is nice to see illustrations of what the team wore, but I think visual evidence can give us what the uniforms looked like a little better. Much thanks goes out to NHLUniforms.com for help with the research end of this project. First up the Might Ducks, or should I say the Ducks. A little history to begin with. 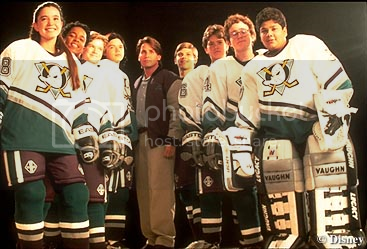 Not many teams can trace their origins back to District 5 in Minnesota made up of a bunch of misfit Minnesotans coached by the one and only Gordon Bombay. 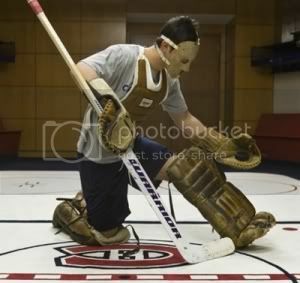 In fact no other team in the NHL can trace its origins back to a movie. 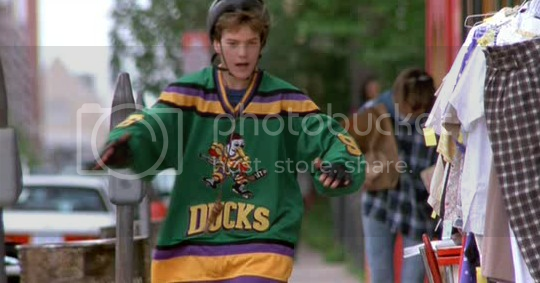 But the Mighty Ducks were dreamed up by Disney and started play in the league in 1993-94. 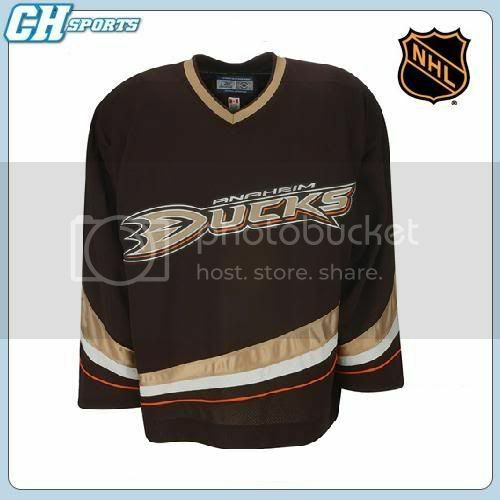 Of course they couldn’t ware the jersey of Charlie Conway, so they had to come up with a new logo and look. 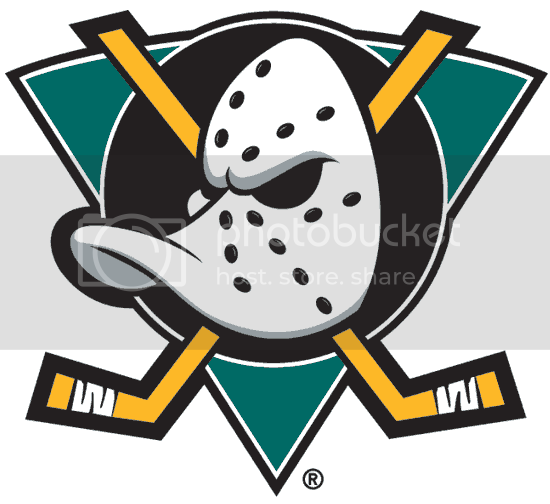 Logo(s) – The original logo, an old school goalie mask in the shape of a ducks face in front of an upside down teal triangle with two crossing sticks behind, was used from 1993-2006. 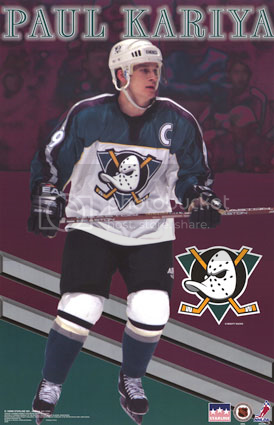 Within the same time period, 93-06, the Mighty Ducks also used two different logos on what would be their alternate sweaters. 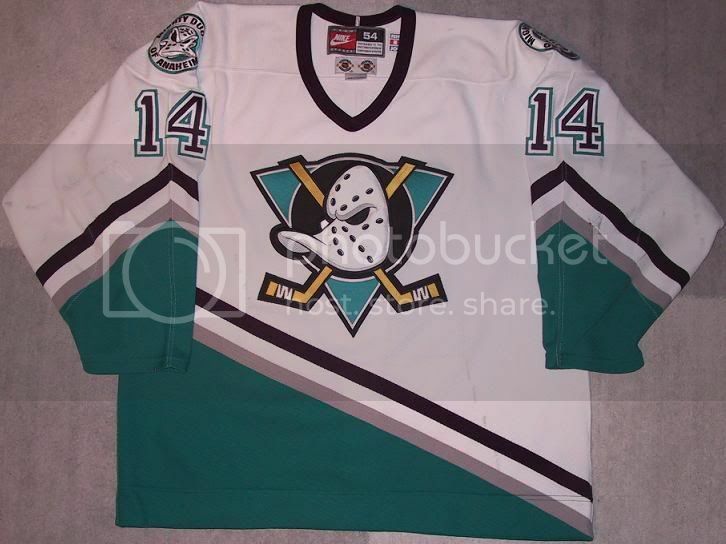 The first came in 1995-96, known as the ‘Break Through Duck‘. I will return to this in the sweater section below. 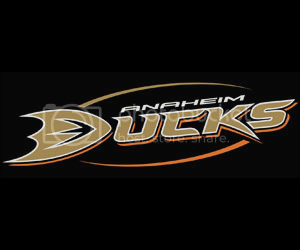 The second logo was a slightly slanted script with ‘Anaheim’ in white and ‘Mighty Ducks’ in small script above. 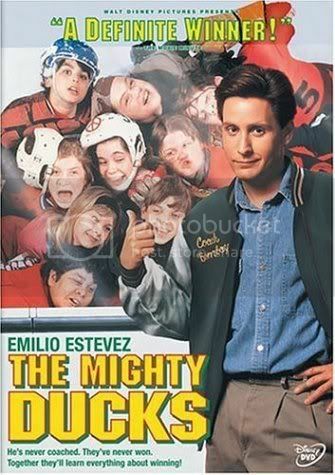 In 2006-07 the Mighty Ducks completely changed their image. 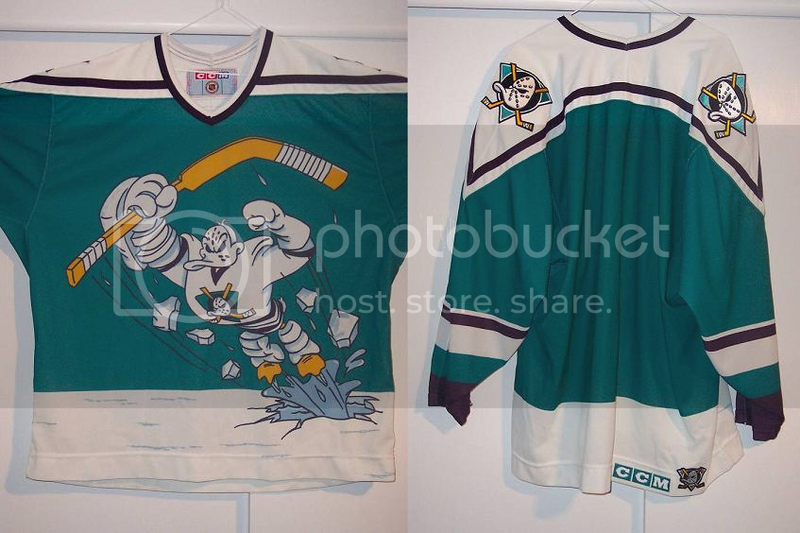 No longer owned by Disney, they dropped the ‘Mighty’ and just became the plain ol’ Ducks. 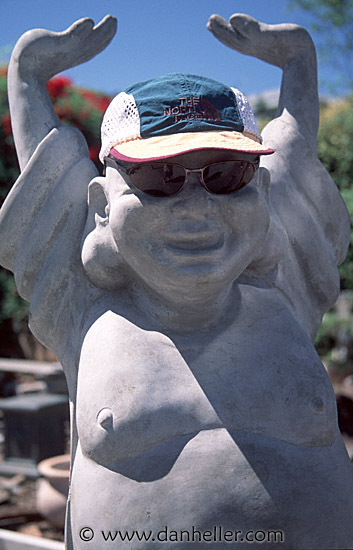 Gone was the stylized hockey mask and the purple and teal, thank Buddha. 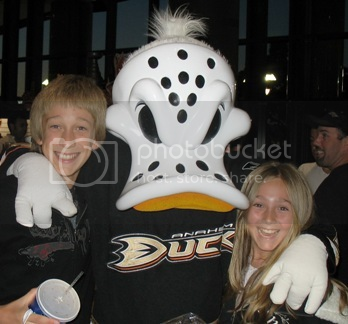 Which is somewhat fortunate, because I think Lord Stanley of Preston, Conn Smyth, Frank and Lester Patrick, and all the other individuals entwined in the early history of the game, would have been spinning in their graves if ‘The Might Ducks of Anaheim’ were to be engraved on the cup. 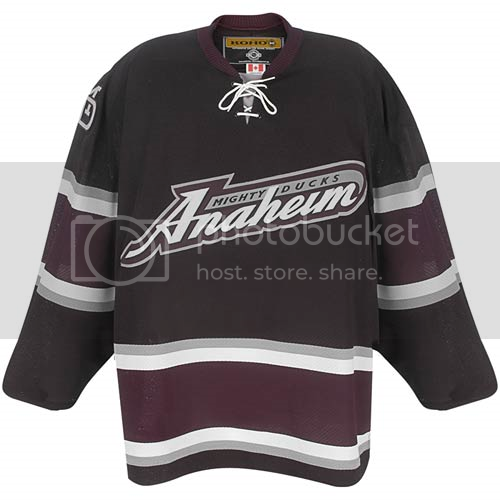 Sweaters – The team started out simple enough in 1993 with a traditional home whites and away purple/eggplant color things. The one strange aspect was the slanted hem lines on the bottom of the sweaters, which also extended to the back causing some number overlap. 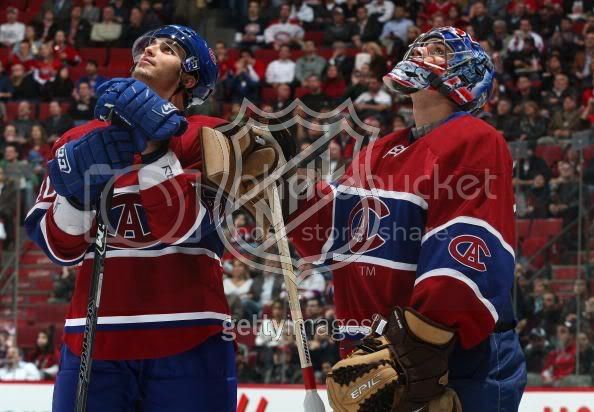 The shoulder patches were first introduced in the 1996-97 season. See the patches section below. 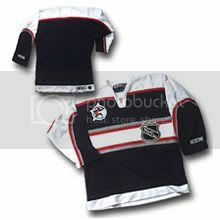 These sweaters were the main home and away set used by the team from 1993 to 2006. 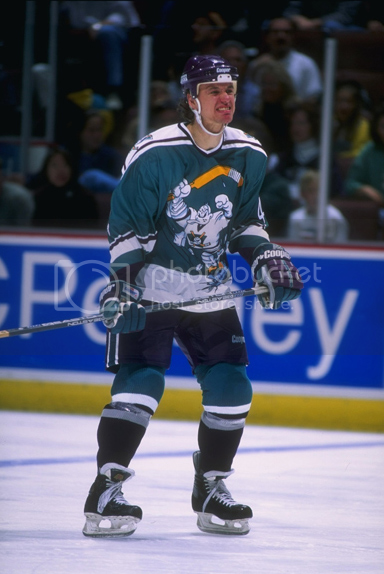 The first alternate sweater the Mighty Ducks used is perhaps the most unusual and unsightly sweater to ever be donned during an NHL game. 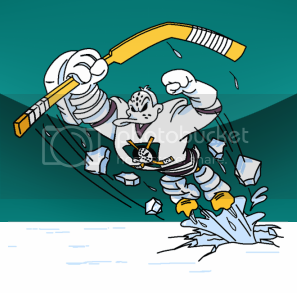 The ‘Break Through Duck‘ did not translate well onto the ice. 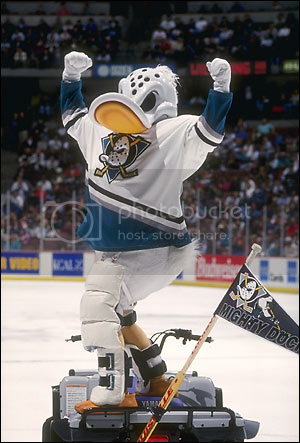 Inspired by their mascot, Wild Wing, who is still around, the Mighty Ducks tried something different and failed, for it only lasted that one season. 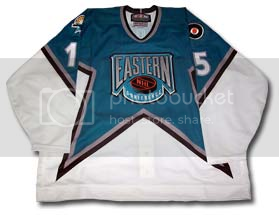 Starting in 1997, the team went with two alternates, using the same primary logo as they did on the home and away sweaters. One was white, which lasted from 1997 to 2000. 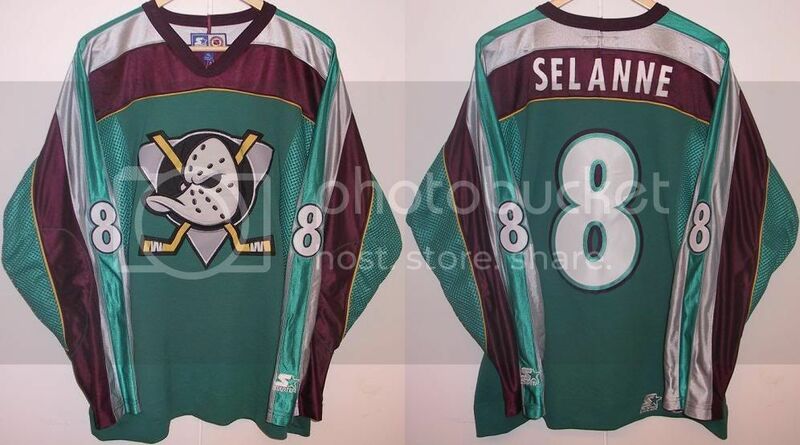 The other was teal which lasted from 1997-1999. The next alternate was used from 2003 to 2006. 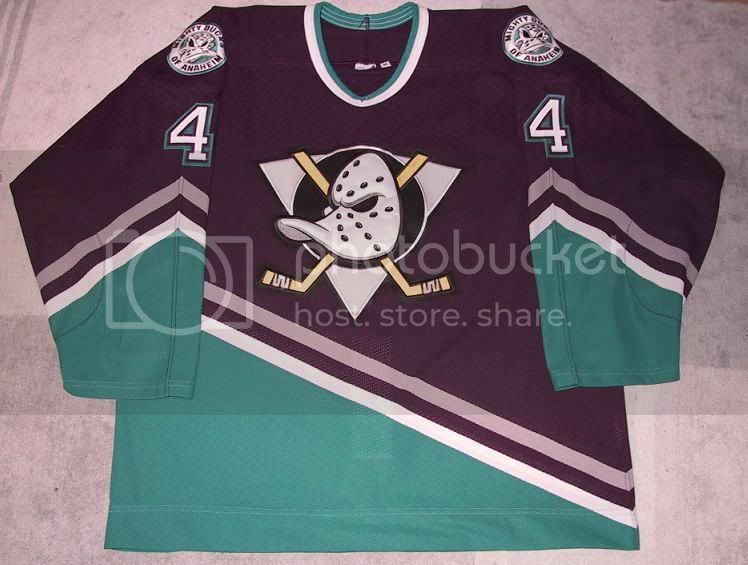 Using the slanted logo mentioned above, the Mighty Ducks wore these dark purple, some will argue black, sweaters. 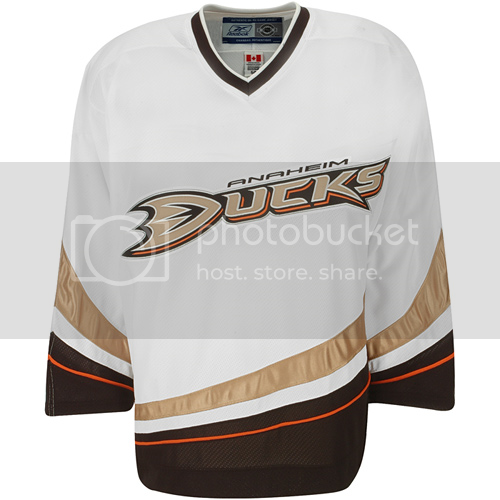 That brings us up to the current sweaters unveiled in 2006-07. 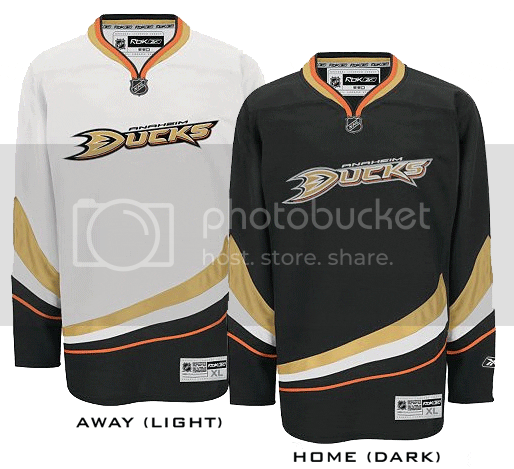 Black and Gold, which a hint of reddish-orange are the new colors for the Ducks, severing all identity ties to the Mighty Ducks of old. The home darks are black, while the away whites are the same as the homes just with a white field. 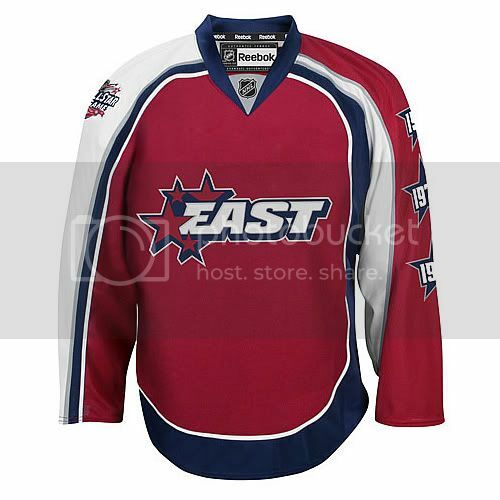 Again the hem line is a little different, but one can be led to believe that with the coming of the Reebok Edge, the team knew it would translate well into the new system, which it has. 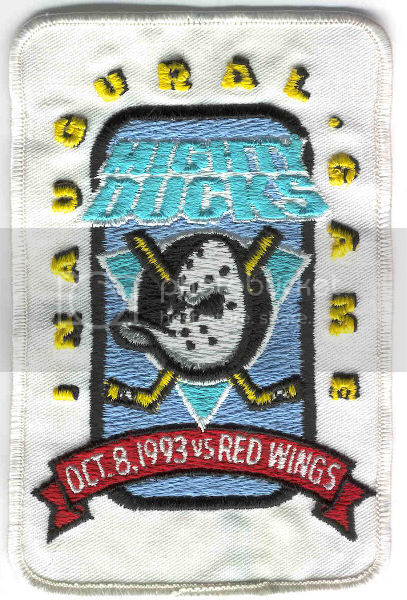 Patches – The Mighty Ducks wore a patch for their first game in the league in 1993, and a patch for their inaugural season, which they may or may not have wore according to two differing sources. The team wore a memorial patch late in the 1993-94 season to commemorate Frank G. Wells, President of Disney, who died during the season. 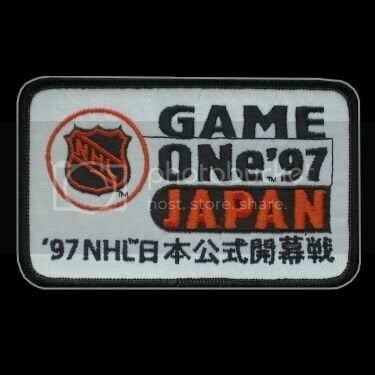 The Mighty Ducks opened the season in Japan in 1997 and wore this patch during both games. 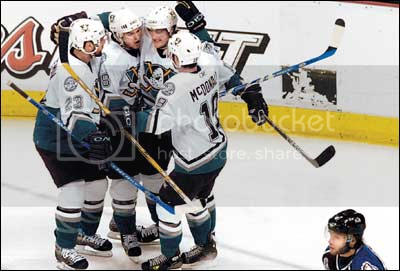 In 1999-2000, along with every other team in the league, the Mighty Ducks wore the NHL Millennium patch in the team’s purple. 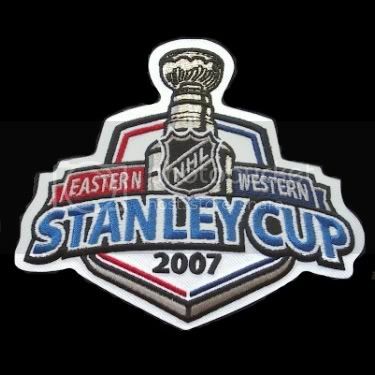 Reaching the Stanley Cup Final twice, the team has wore two patches, in 2003 as the Mighty Ducks and 2007 as the Ducks. 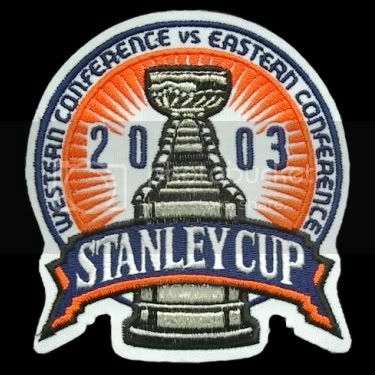 Special thanks to Hockey Blog in Canada and NHLPATCHES.INFO for the patch images and logos.